Kids have the best personalities. 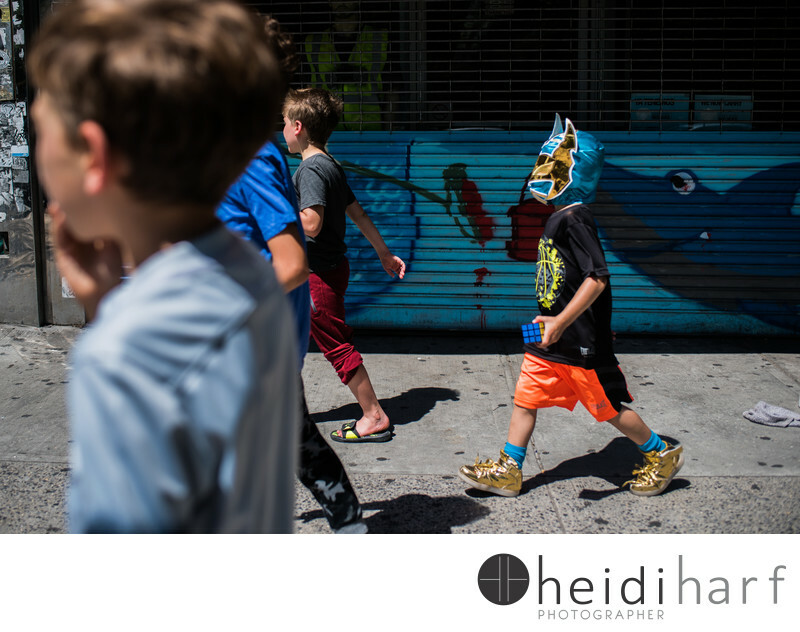 With his mexican wrestling mask and gold shoes walked all through brooklyn in the heat of the summer with such confidence. How he did not suffer heat stroke, I do not know, but it was worth it to see the looks of people around him. I left this image in color to accentuate his larger than life personality of this 5 year old.